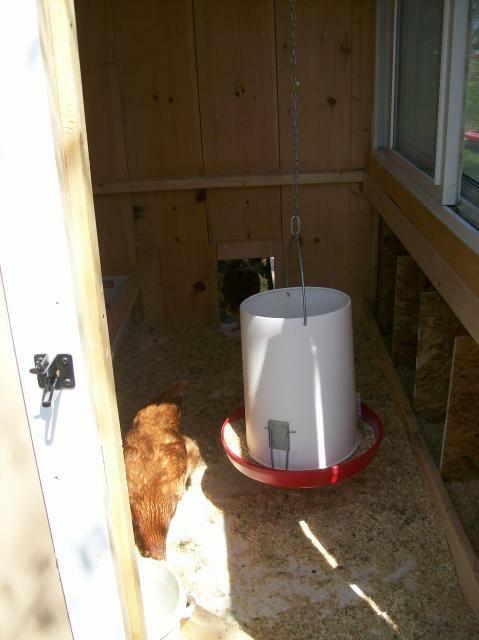 Then my Dad who is retired decided to make a coop as a winter project. The car was put outside, and the building began in the garage. 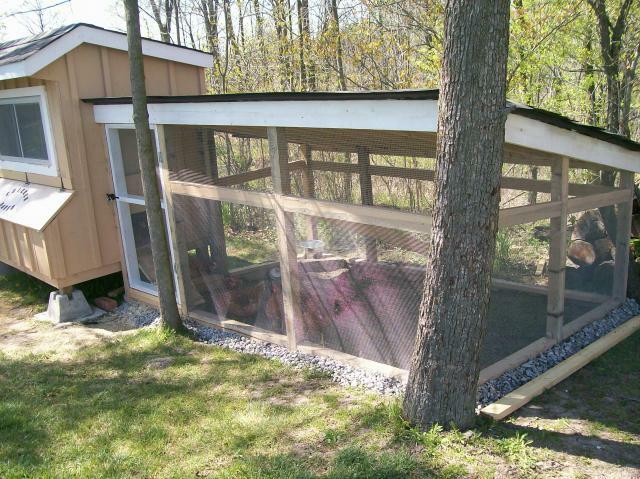 He used a similar idea for a coop that was posted here on BYC, with a few minor changes. 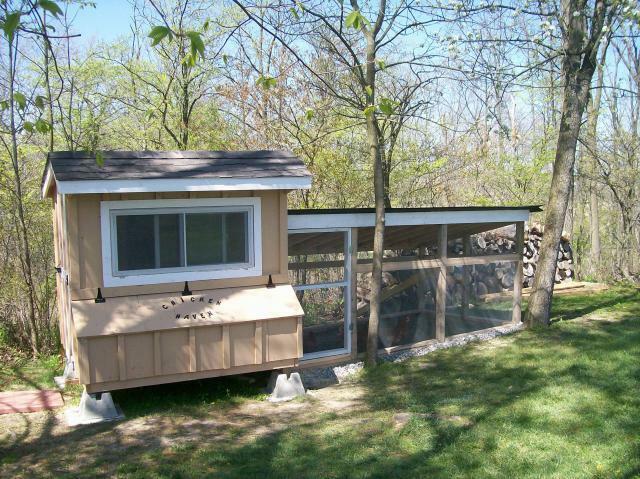 He put one big window for the chickens to look out, and me to look in. 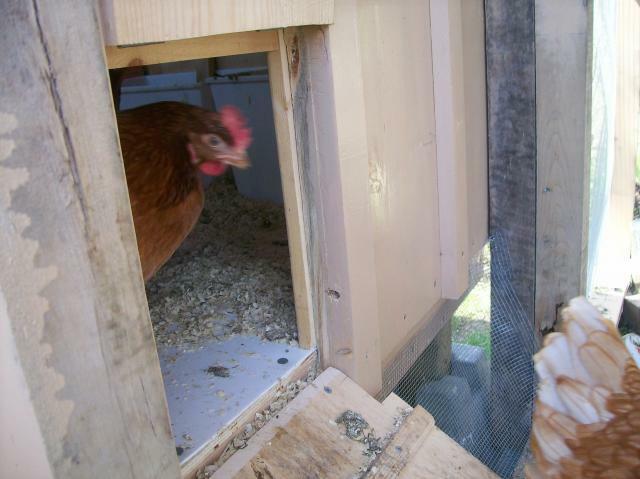 I kept the chicken inside for a week, because that is how long it took me to build their run. I decided to roof the run from some of the input that I read here regarding a messy/muddy run. They have been outside now all the time except for at night, and even when it rains they are a snug as a bug, and DRY! When my husband mowes the lawn the kids rake up the clippings and put them iside for them to scratch around in. They thouroughly enjoy that, plus as the grass dries out it becomes like a straw base, that they muck around in and I can easily rake it up and discard it ready for the new fresh batch of grass. Here they are rushing outside to see what's new. They are such fun animals to watch. 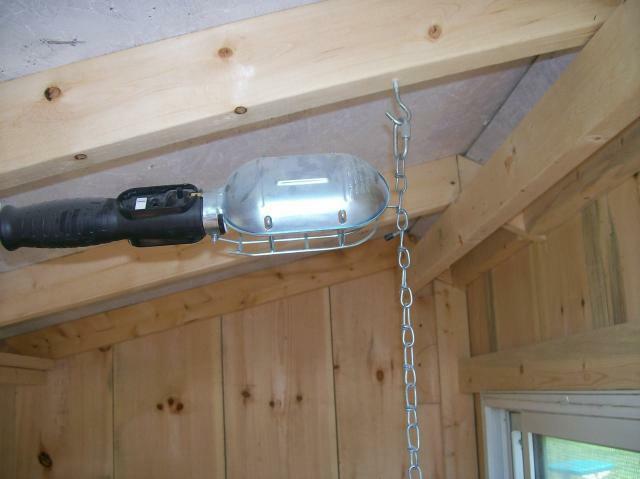 Inside the coop I hung a trouble light that is on a timer, and I also hung their feeder off the ground to keep the mess out of it. Under their roosting bar I purchased 5 bins to collect the waste, and also to create a deep litter method. Although one of my girls insits it is for her to lay her eggs in. 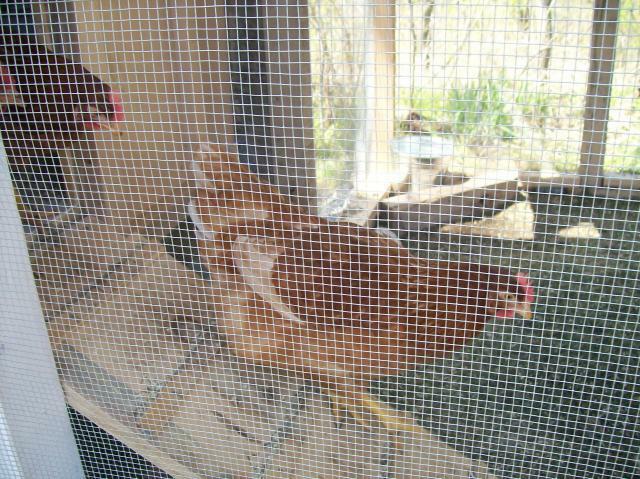 I am so loving watching them, and the extra bonus of fresh eggs.